Governance failure and corruption are increasingly identified as key causes of tropical deforestation. In Nigerias Edo State, once the showcase of scientific forestry in West Africa, large-scale forest conversion and the virtual depletion of timber stocks are invariably attributed to recent failures in forest management, and are seen as yet another instance of how "things fall apart" in Nigeria. Through an in-depth historical and ethnographic study of forestry in Edo State, this book challenges this routine linking of political and ecological crisis narratives. It shows that the roots of many of todays problems lie in scientific forest management itself, rather than its recent abandonment, and moreover that many "illegal" local practices improve rather than reduce biodiversity and forest cover. 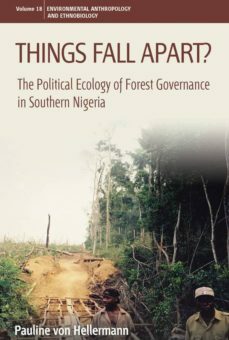 The book therefore challenges preconceptions about contemporary Nigeria and highlights the need to reevaluate current understandings of what constitutes "good governance" in tropical forestry.